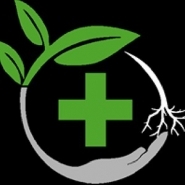 Today's Herbal Choice is a Oregonian and Veteran-owned dispensary that offers the people of Southwest Portland the products and service they deserve. We work hard to get good prices on quality products so that we can pass the savings on to you at all of our THC locations. In addition to our rotating Green Leaf Specials, we have fun daily deals and great everyday prices. We weigh fresh to order in front of the customer, so you will never be disappointed when you get home. We're located on SW Barbur Blvd., just east of Barbur Transit Center and Capitol Highway. Our storefront is in the rear of the Barbur Place building- just turn down Alice St. and follow the driveway to the shop. Located in the storefront previous housing Human Collective, inside you'll find an excellent selection of competitively priced flower, pre-rolls, edibles, extracts, shatter, wax, crumble, oil, vape cartridges, clones and accessories. We happily accept cash and debit card purchases ($2.75 fee). Today's Herbal Choice is proud to offer a 10% discount to all Veterans with valid Military ID. Come see Southwest Portland's best new Medical and Recreational dispensary!